Perfect on a dressing table in your bedroom, this table dressing table mirror features a beautiful triple mirror shabby chic design complimented by a gorgeous hand painted antique white finish. 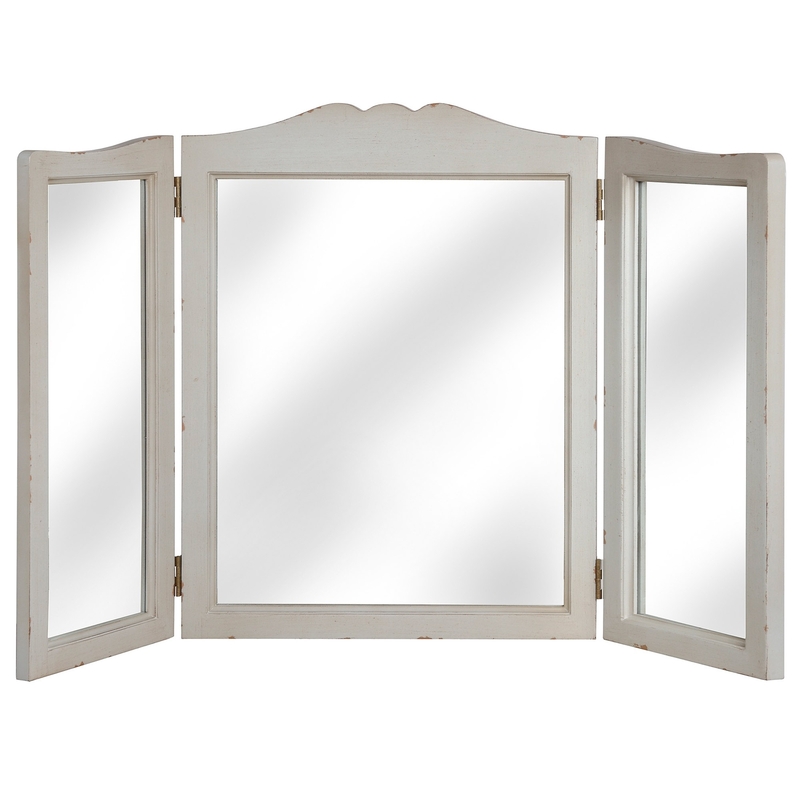 Louis Shabby Chic 3 Way Dressing Mirror has been made with high quality materials, this wonderful piece of furniture has been built to last. Perfectly matched with the Louis Shabby Chic Stool.